Today I’d like to introduce you to my friend Michelle who blogs at Mollymoo. She is incredibly talented, winner of Irish Craft Blog of the year (amongst several other categories) at 2012 Blog Awards Ireland, an amazing crafter, photographer and graphic designer. Michelle, along with Miss Molly have designed a very special piece of crafting that kids can do by themelves (with a little adult help). Today they’re making school bag charms. If you’ve not checked out Michelle’s blog yet, please do. It is amazing and great, great fun. I’m not ready to say ‘Back to school’ out loud yet, are you?!!! it’s been such a great and long overdue, weather-friendly summer for the kiddos so I’m in no hurry for it to end, and neither are they I suspect. But approaching it is so let’s have some fun with it…. 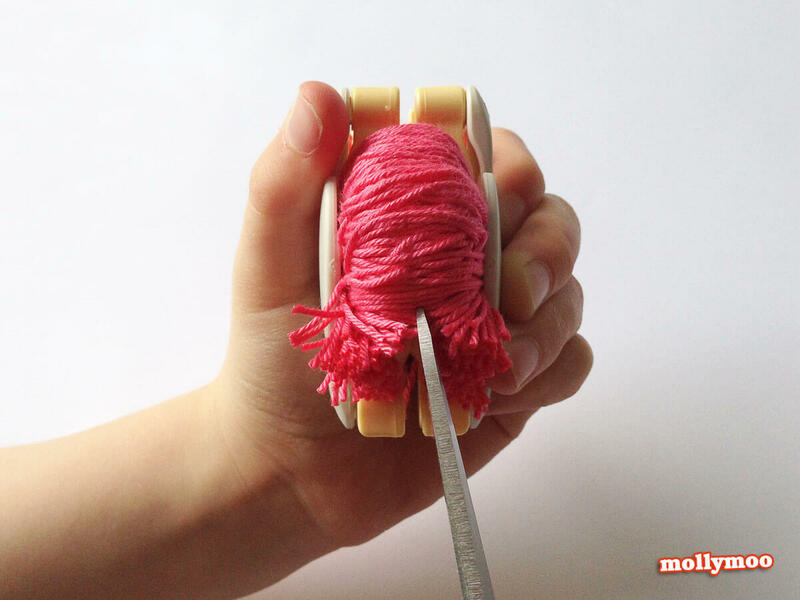 Step One: wind the wool and make your pom pom. 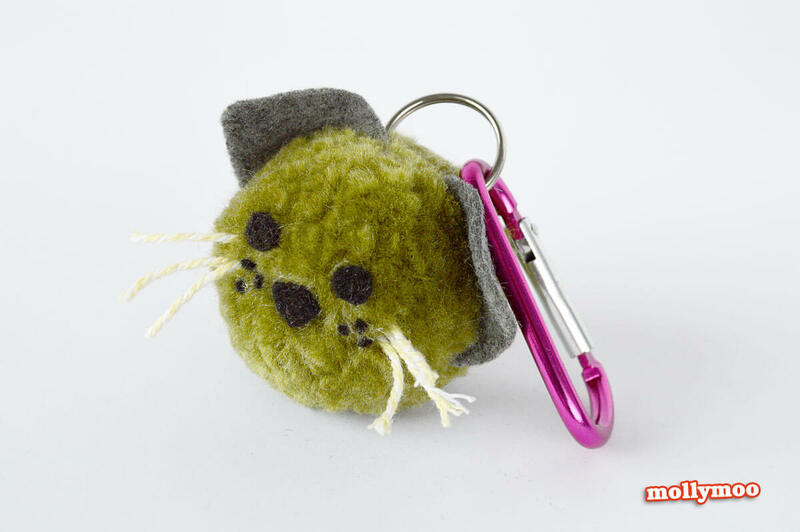 (we have a Clover pom pom maker, a simple and nifty little toy. When the thread is fully wound cut the threads through the centre line with a sharp scissors. 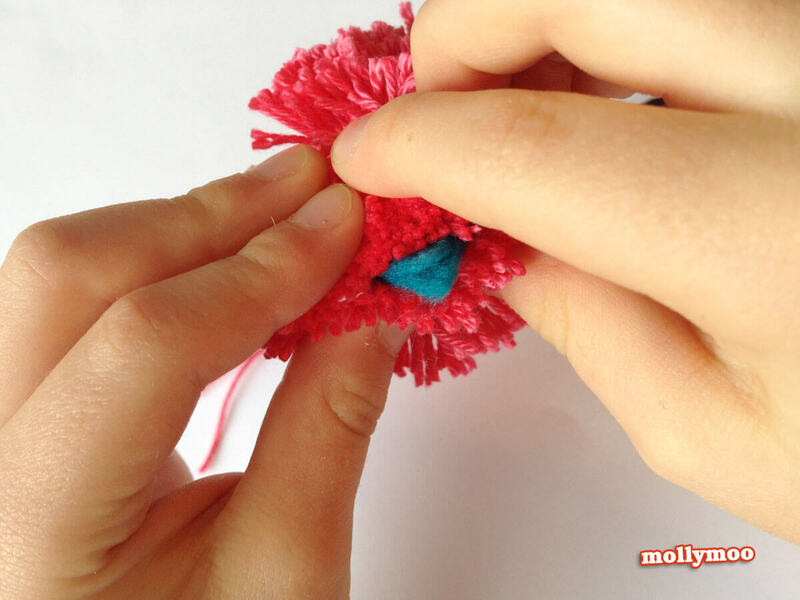 Circle the pom pom with a length of thread (the locking string) and knot tightly to keep the pom pom secure. 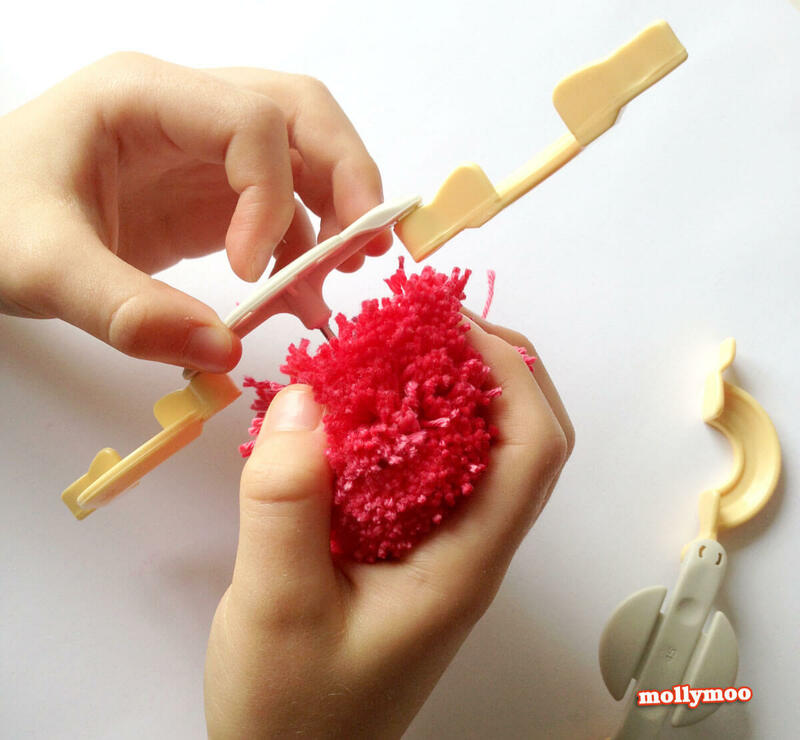 Then remove the pom pom maker casing or cardboard and voila… a pom pom. 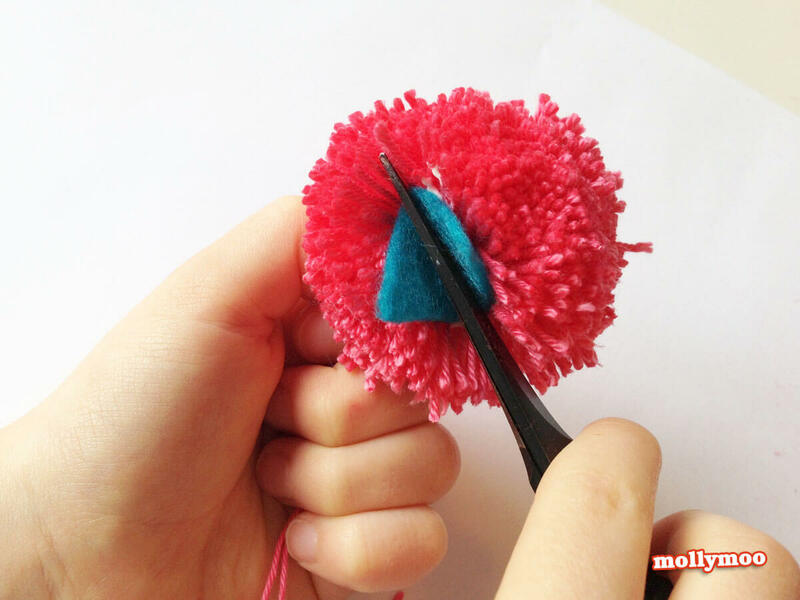 Now take your scissors again and trim all around the pom pom to even out the strands to create a perfectly round pom pom!! Cut the beak and small circular dots from the sheet of felt. 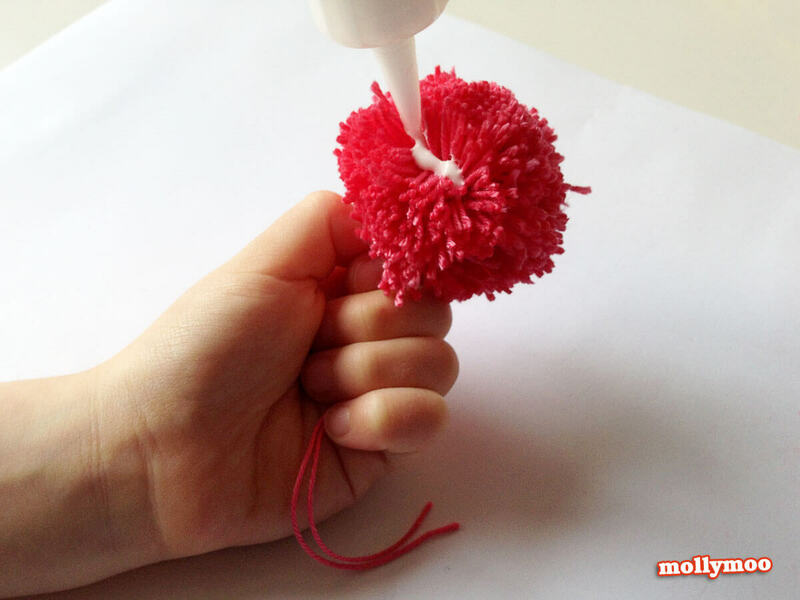 Part a line of pom pom strands and squeeze in some felt glue. Insert the beak and hold in position for a few seconds. Next glue on the eyes. 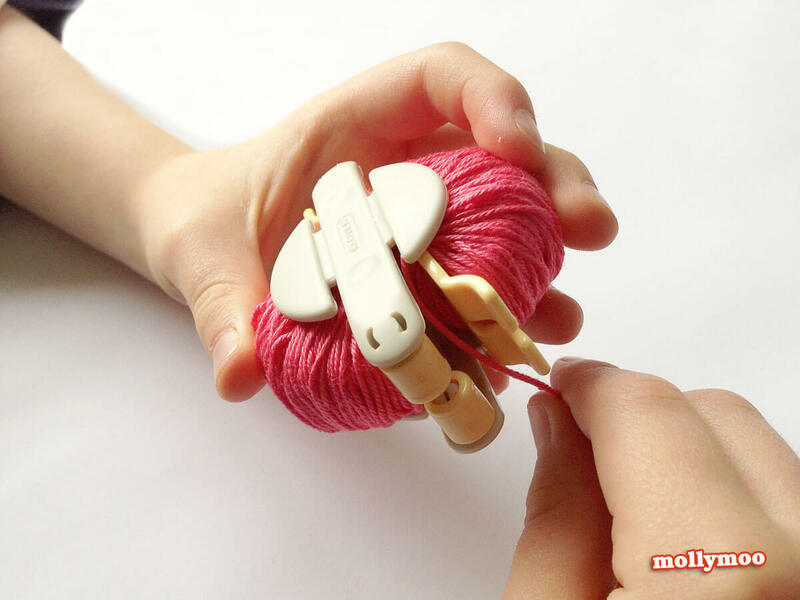 … and finally loop a keyring link around the centre locking string and you have a cute bag charm to keep the littles company on their first day at school, and their second, and their third….. even when they are all grown up and in 6th class. 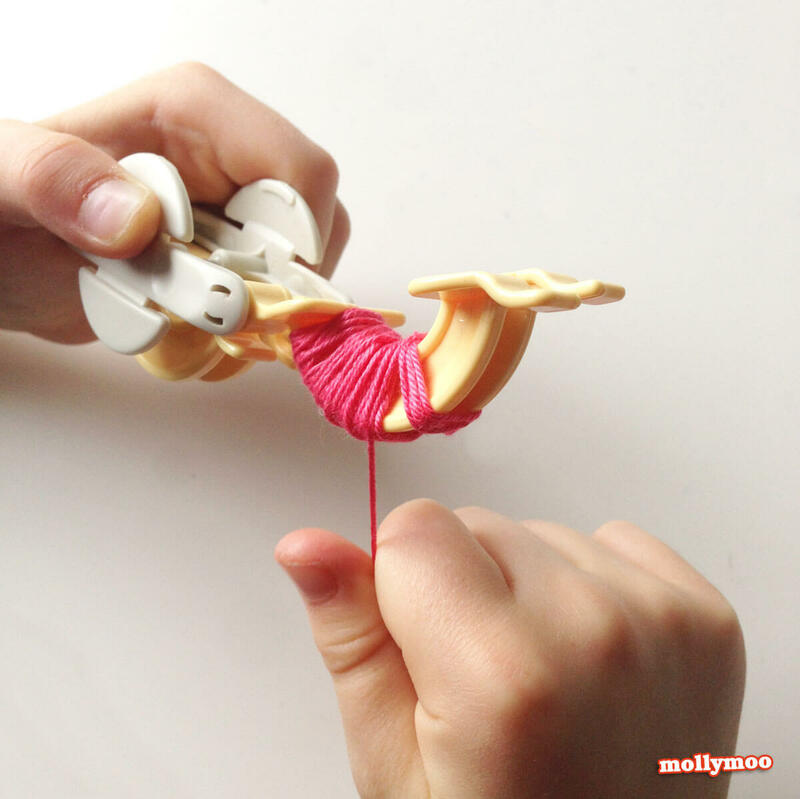 You can find Mollymoo on most good social networks, including Twitter, Facebook and Pinterest. 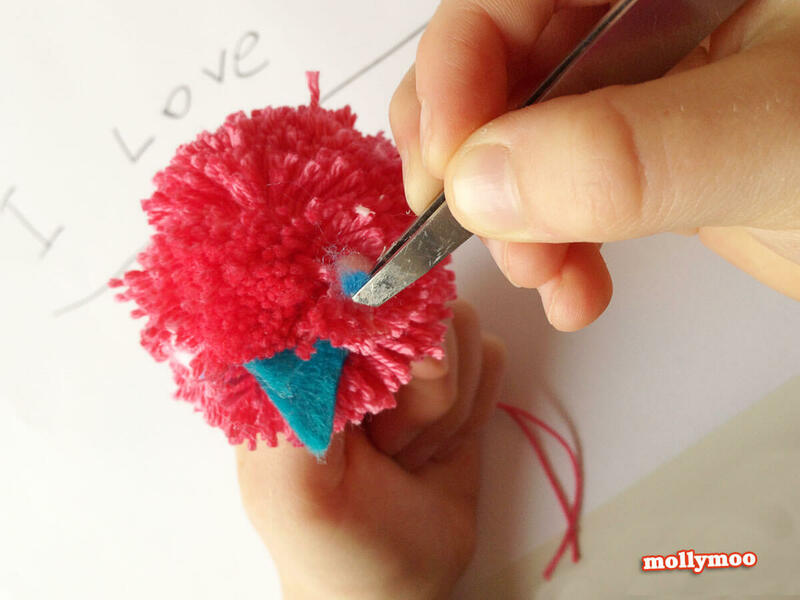 For more pom pom making tips & tricks here is her definitive post.